Folding Storage Ottoman Just $22.99! Ships FREE! You are here: Home / Great Deals / Folding Storage Ottoman Just $22.99! Ships FREE! Order the Folding Storage Ottoman Just $22.99! Ships FREE! These ottomans are not only stylish but offer triple duty usefulness in that they have storage, a comfy and sturdy seat and as an ottoman you can put your feet on after a long day! 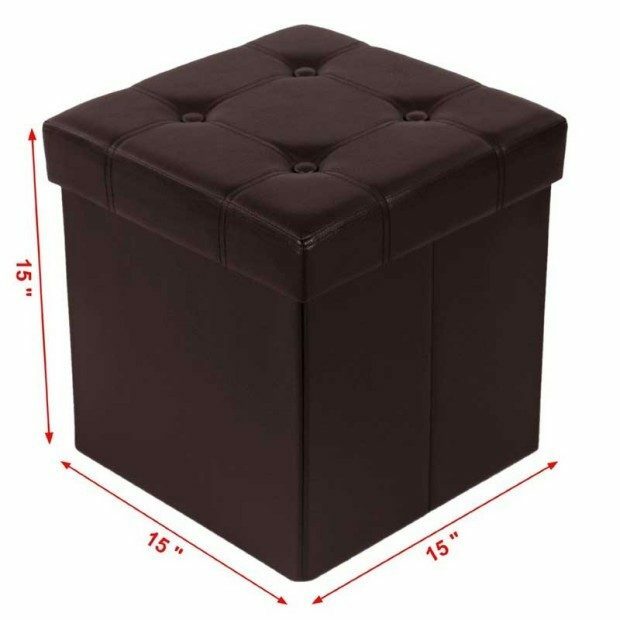 These stylish faux leather ottomans look great and can help tidy up your living space by providing a handy storage spot to stow away blankets, games, toys, books–you name it!